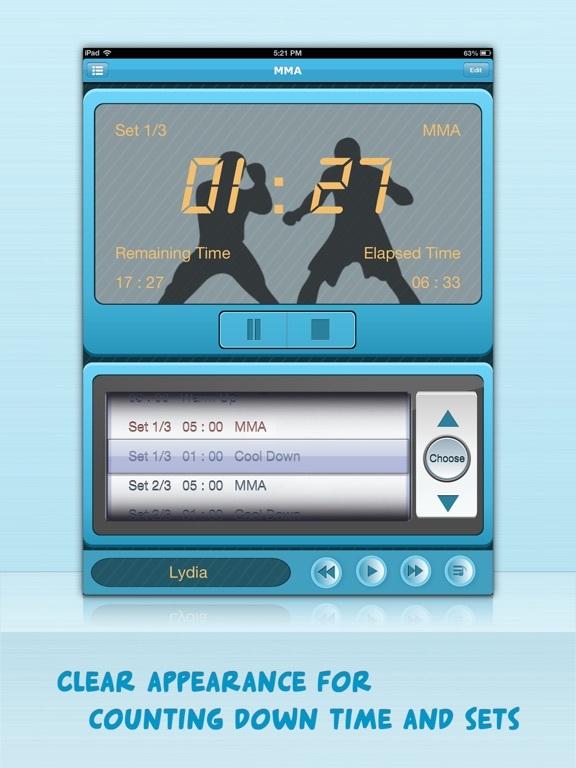 Best Interval Timer is a simple but powerful interval training app, default routines together with your customized routines will help doing your workouts and fitness. 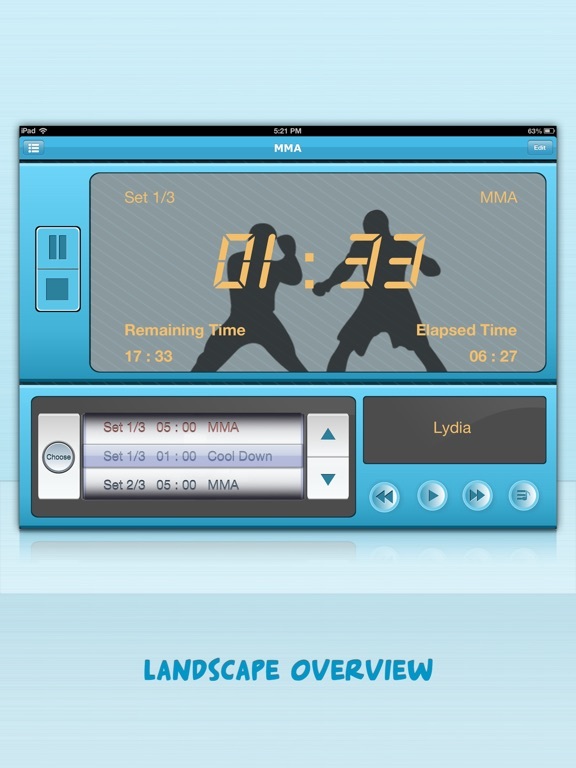 This app is like your personal coach, when you are boxing, MMA, jogging, running, Tabata, swimming, pushups, sit ups, yoga, cycling, exercise, stretching, circuit training, and workout etc, just focus on your workout without having to worry about time, Best Interval Timer will lead you to finish them perfectly. 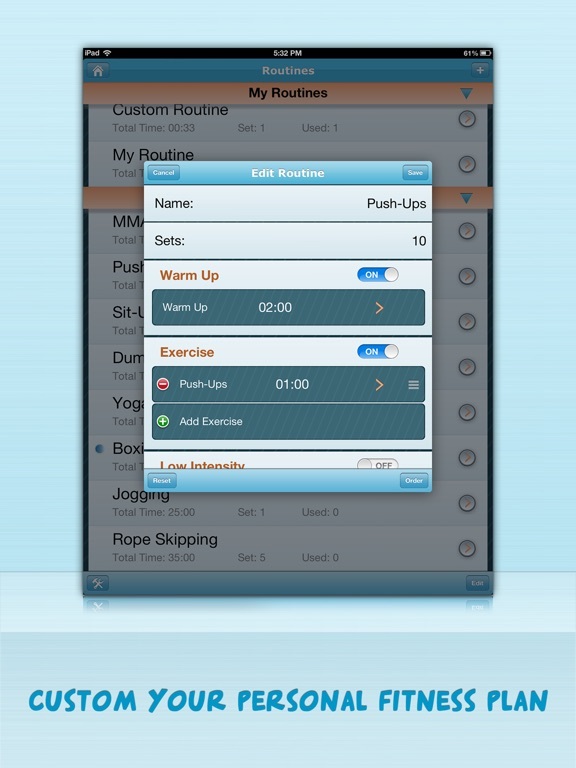 You can create unlimited interval timers which could include warm-up, high/low intensity, cool down and rest time etc, you can custom how many sets you wish to do. 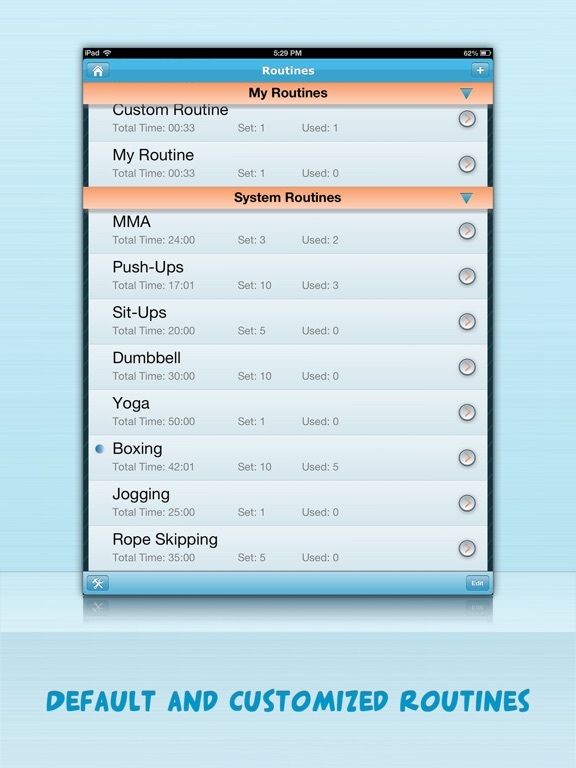 Eight free editable routines: MMA, Yoga, Pushups, Boxing, Rope Skipping, Dumbbell, Situps and Jogging. ⁃ 8 editable default routines. ⁃ Create unlimited your own routines. ⁃ Big readable counting down time. ⁃ Start, pause or reset routine. ⁃ Warm up, low intensity, high intensity, cool down, rest time. ⁃ Support background, foreground playing and multitasking. ⁃ 15 interval switch sounds. ⁃ 12 background interval pictures available. ⁃ Show number of times you have practiced of one routine. ⁃ Support landscape and portrait. 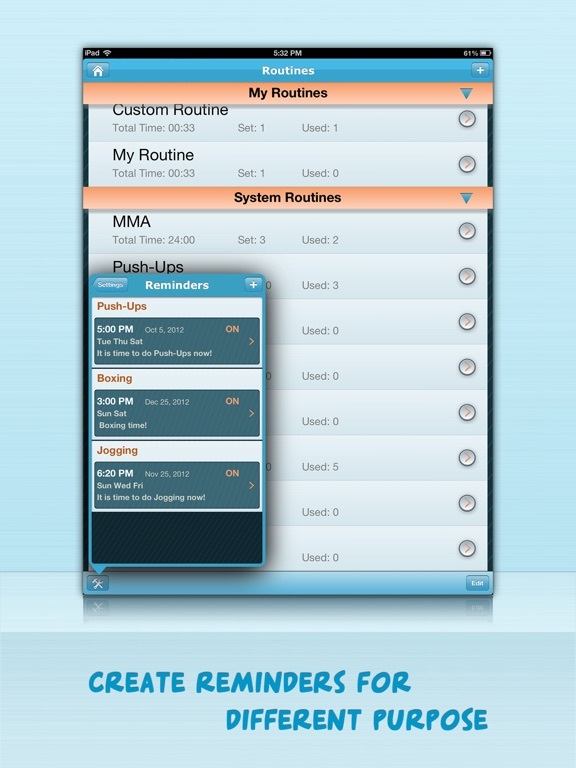 ⁃ Create unlimited reminders to alert you doing your workout or anything else.